Agricultural robotics may have a small (yet burgeoning) market, but their impact is likely to be quite a bit more widespread than the robotic hands of orchard, grove, vineyard, field, and packinghouse so common in the popular imagination. That was the reigning sentiment at the second annual International Forum of Agricultural Robotics (FIRA) in Toulouse, France, where nearly 500 attendees more than doubled that of 2016’s inaugural event. FIRA is organized by a number of robotics-focused organizations with support from media partners including Meister Media Worldwide, parent company of American Vegetable Grower®. There are several distinct classes of robotics — including vision systems, field robotics, and stationery robots, said Dan Harburg of the Dutch ag-tech venture capital firm Anterra Capital. Technologies that are “more about materials handling or augmenting human labor, as opposed to fully replacing human labor, are a little bit closer to market and are therefore closer to invest-ability,” Harburg said. For nearly a century large tractors literally have shaped farms around the world while making them increasingly more efficient. But that era is nearing an end, and in fact is hitting a wall, Blackmore suggested. Machines are now reaching their maximum size, and agriculture still uses far too much energy — in no smart part because farmers perennially have to use heavy equipment to cultivate soil that’s become compacted by … you guessed it, heavy equipment. Blackmore estimates 90% of the energy that goes into cultivation is to “repair the damage that is caused by the big machines in the first place. 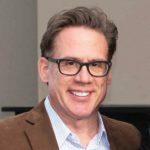 Harburg says venture capital firms are especially interested in robotics that are involved with materials handling and augmenting human labor rather than fully replacing it. Also in play for robotics is the crop protection industry, where few new active ingredients are being developed due to the high cost, even as existing compounds including dicamba and glyphosate fall under regulatory siege. “There is nothing wrong with glyphosate,” Blackmore said. “We should ban the dumb machines that are applying glyphosate in the wrong places.” He noted developments like Harper Adams’ just-completed “Hyperweeding” project funded by Syngenta, which uses vision guidance to identify weeds and robotic gimbal control of a sprayer or laser to eradicate them. “We can see that with some straightforward technology, most of which is commercially available now, we can be able to save 99.99% of the chemical” through what Blackmore calls “intelligently targeted inputs.” Developing such technologies creates “a symbiotic relationship between the chemicals and the machines” and may extend the life of older AIs when used with more exact application, he said. Harvesting is due to become far more efficient too — all the way through the distribution chain, where anywhere from 20% to 60% of a harvested produce crop can be thrown away because individual pieces are too large or too small or don’t otherwise meet today’s grading standards. Imagine instead, Blackmore said, a backyard garden where you pluck only the fruits or vegetables that are ripe for eating. 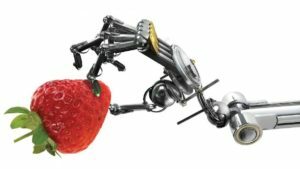 A developmental robotic strawberry harvester called AUTOPIC uses advanced sensing, pattern recognition, and robotic technologies to inspect, pick, and pack berries. 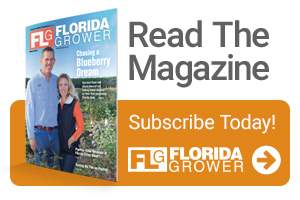 Other developments Blackmore cited included a sub-canopy robot that can go underneath a crop to take measurements, and a scouting robot for vineyards that uses cameras to monitor irrigation and nutrient status. It all sounds fantastic — so what are the potential downsides? Blackmore noted that the issue of “energy density” — maintaining adequate power supply for long hours in the field — continues to vex robotics, “but we really need to reduce the use of energy overall anyway.” And while robotics developers have awaited fuel cells for many years, he said he’s hopeful that once non-agricultural developers such as Tesla refined battery-powered mobility, agriculture will be quick to adopt it. Blackmore took the issue head on of whether robotics will do away with people. He cited the precedent of automobiles, which in their earliest years required human manipulation of multiple functions that today are automated — yet humans are still very much in the driver’s seat in determining where a car will go, where it will turn, how fast it will go, etc. A potentially stickier subject will be robotics’ impact on the farmworker pool. Blackmore said he believes that the “big tractors” through the decades already have driven down the number of workers per farm. Seasonal labor that conducts repetitive work will go, he said, but permanent labor will stay and will be redeployed to other, more value-added areas of the farm. Harburg, who worked with U.S. ag-tech startup Soft Robotics before moving to venture capital, suggested that agriculture need look no further than Amazon for a model of how to use robots for base and peak labor while retaining the best and most experienced labor. Yet the transition to robotics is nearly certain to be more difficult for agriculture than it was for Amazon. “If we automate that and robotize that, and [permanent] labor doesn’t go away,” the farmer doesn’t immediately achieve cost savings that may be necessary to implement robotics. “To me, that’s a real challenge for agricultural robots,” he said.